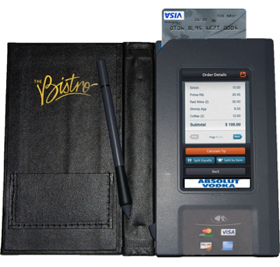 While the restaurant industry is starting to adopt mobile payments, no one platform is coming across as the clear winner in the field, reports Nation’s Restaurant News. Adoption of mobile payments is slowly growing, as customers get used to the concept of paying with phones and feeling that their transactions are conducted securely. Some chains have started partnering with mobile payments providers to bring the technology to their customers. Starbucks has an agreement with Square. Tim Hortons can take NFC-based payments through a partnership with Rogers. Jamba Juice is working with Isis for its acceptance of NFC payments through the Isis virtual wallet. Other restaurant chains, such as Darden Restaurants, Dunkin’ Donuts and HMSHost are working with Wal-Mart in a partnership called the Merchant Customer Exchange (MCX), which is a startup designed to accept mobile payments. The startup, which began in August, hasn’t announced its technology or plans for a pilot test. Still others, such as T.G.I. Friday’s, are using proprietary software through smart phone apps to allow customers to pay with their phones. How the fragmentation of this market will play out is yet to be determined.